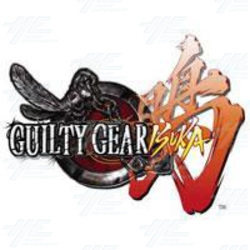 Highway Entertainment is pleased to announce Guilty Gear Isuka, from Sammy's Guilty Gear series of arcade fighting games, is now available. Guilty Gear Isuka allows players to choose whether to compete individually, or as a part of a team when they fight against their competitors. The Guilty Gear Isuka kit includes a game board and player instructions. The kit also includes a link cable and adapters to connect two cabinets together using the one game board for four player action.